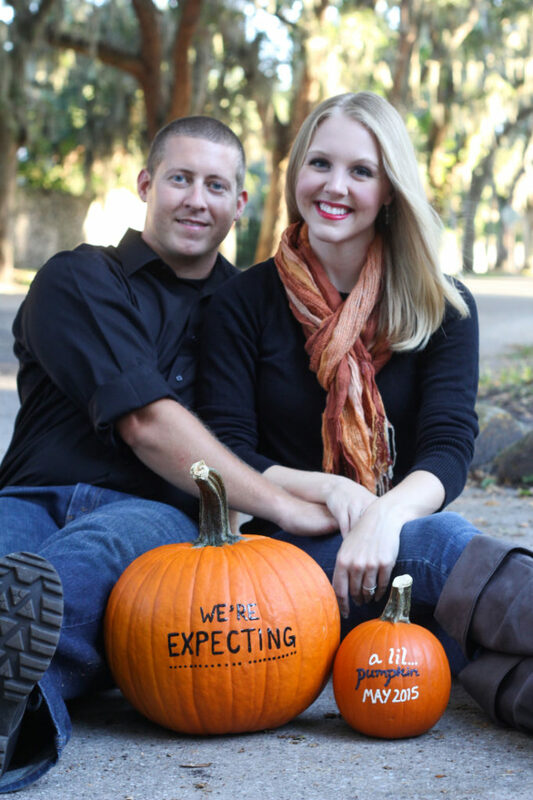 We recently worked with the incredibly talented Madi Mack to take maternity pictures to announce our big baby news. We took photos in September on Magnolia Ave, one of the most photographed streets in St Augustine. 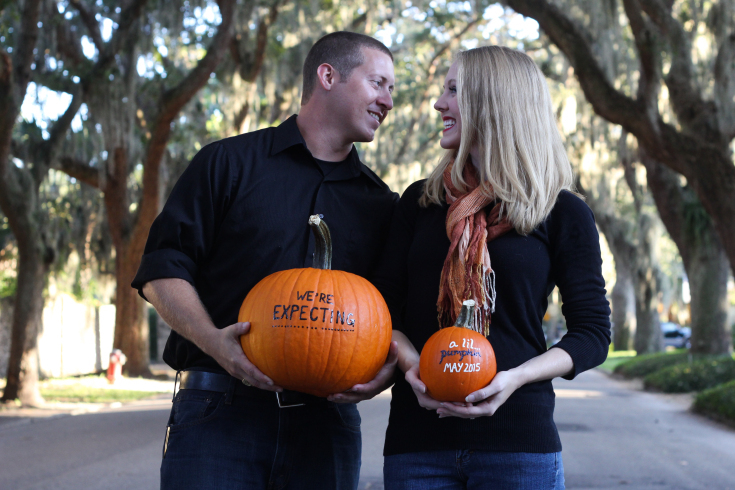 Using fall as our inspiration, I painted “We’re Expecting…A Little Pumpkin” onto two pumpkins, one large and one small. 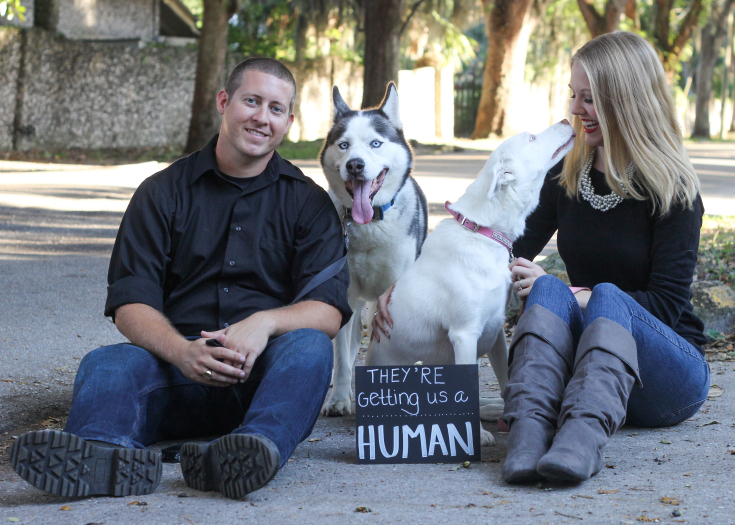 We also wanted a way to incorporate our fur babies into the photos. 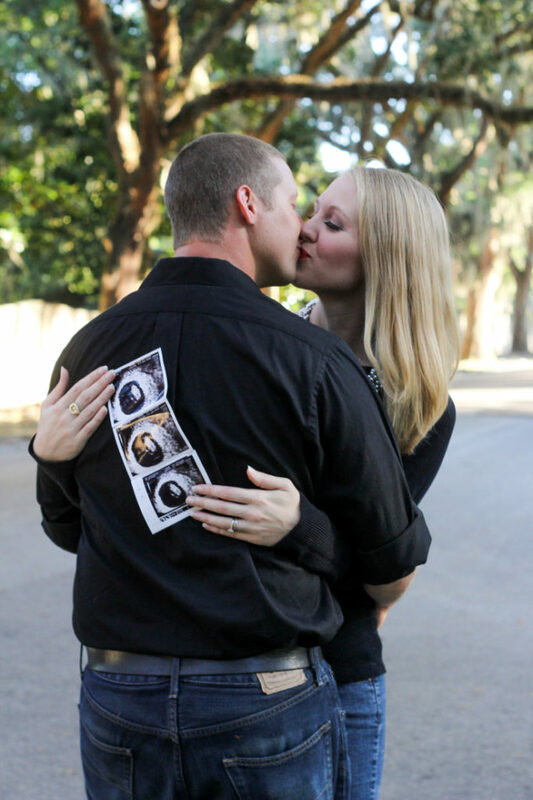 Hopefully these maternity announcement photo ideas spark some inspiration for you too. 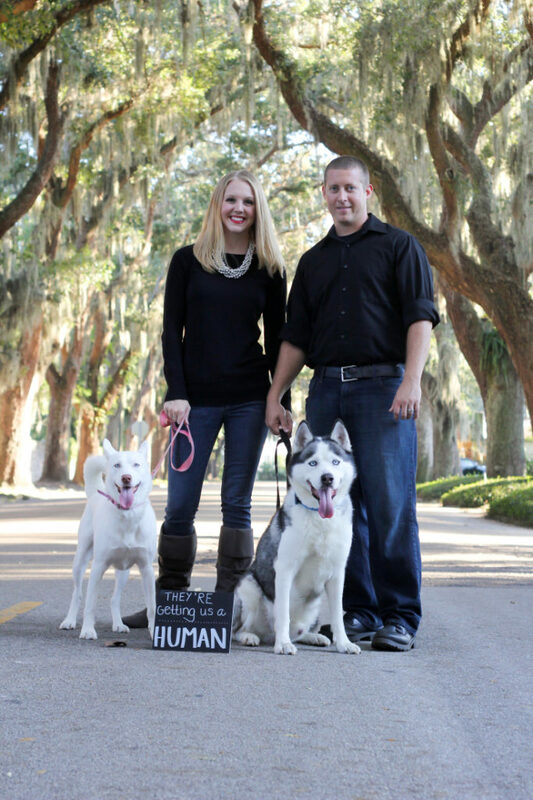 We had to include our beautiful ‘furry’ kids in the pictures, Sasha and Aiden. 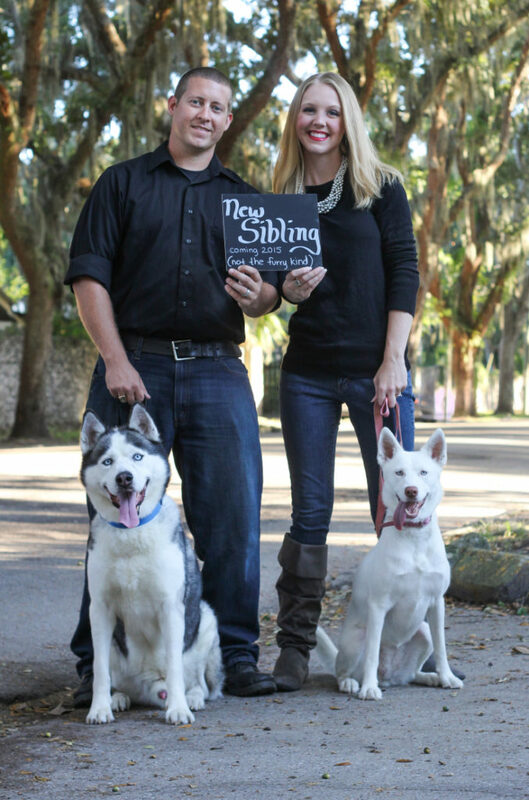 I made this chalkboard sign that said “They’re getting us a human” and “New Sibling Coming May 2015 and Not the Furry Kind”. It was a little difficult to get them to cooperate with photos. My brother helped and held a squeaky toy near the photographer to capture their attention. 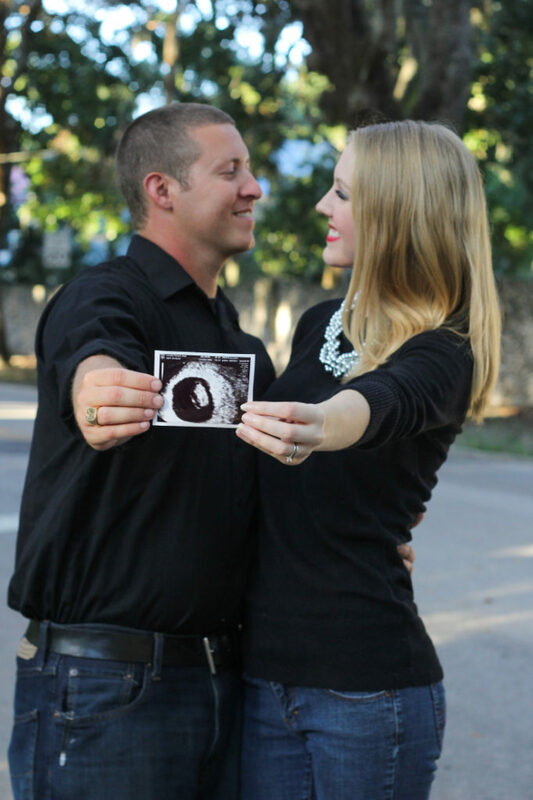 We also took pictures with the sonogram picture of baby Peloquin. It was such a neat way to incorporate our little growing peanut. Check out www.madimack.com for all your St Augustine photography needs. 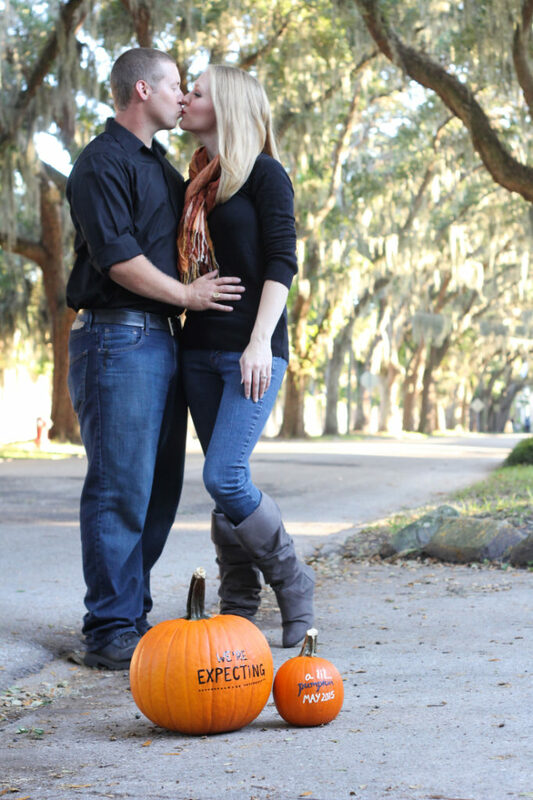 See our other maternity photo session when I was 30 weeks pregnant.